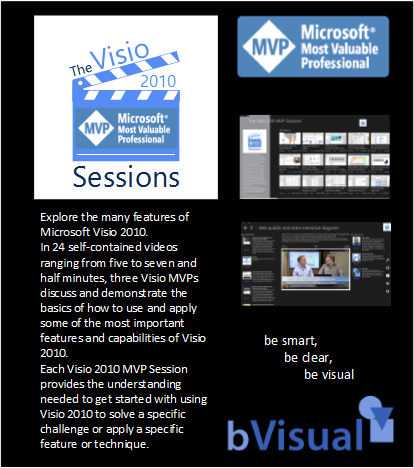 So, I have now published the Visio 2010 MVP Sessions as a Windows Phone 8.1 app too ( see https://blog.bvisual.net/2014/06/27/the-visio-2010-mvp-sessions-windows-app/ ). This is the second part of my second Universal App. I had some issues with orientation, and that YouTube videos have to be played via a browser, and not in a XAML media element, however I think that the app provides a handy way to view the 24 videos that Scott , Chris and I made for Microsoft. 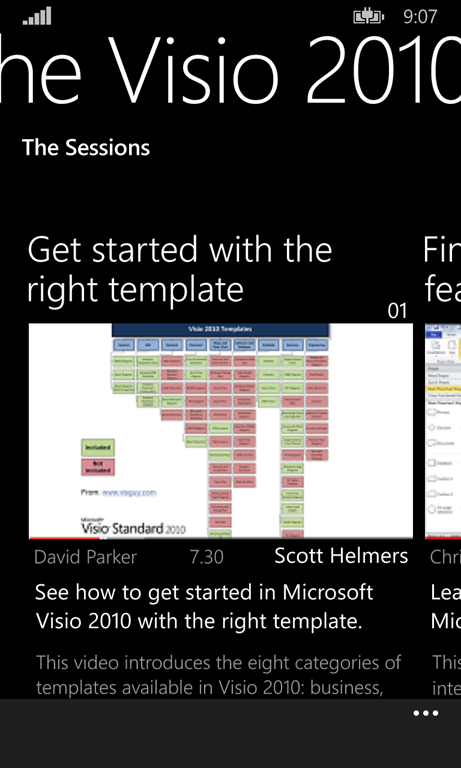 The app is available for free from the Windows Phone store ( http://bit.ly/1kdSDwx )… if you have upgraded to the 8.1 OS version. 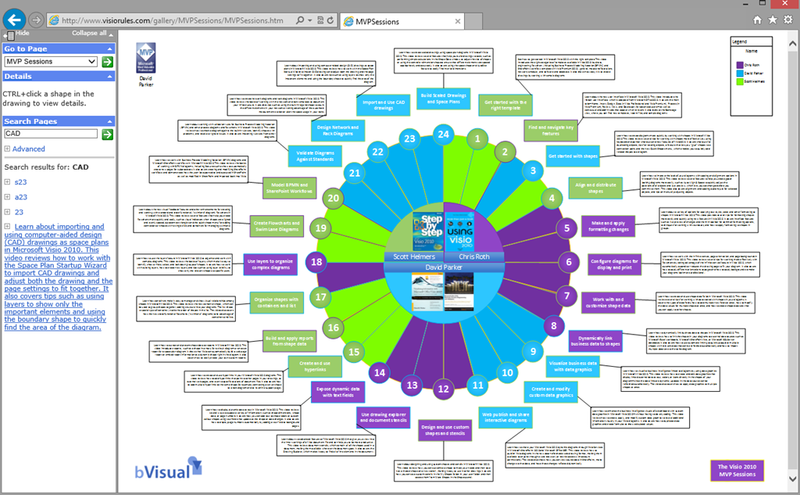 When the Microsoft marketing machine moved its sights onto the 2013 of Visio, they decided to upload the 24 videos that I, Scott Helmers and Chris Roth did for Visio 2010 to YouTube. YouTube is great, but it is so large that I get lost looking for stuff that I am interested in, so I have created a handy little Windows 8.1 app to bring all of the videos together. 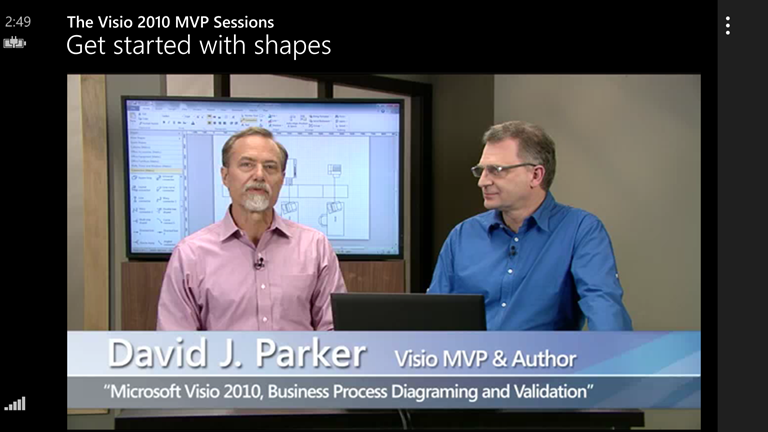 The content is still very relevant for Microsoft Visio 2013, and we cover a wide area of Visio’s capabilities in these short introductory videos. Each one is between 5 and 7 minutes…ish. My earlier post about the world in Visio shapes, see https://blog.bvisual.net/2013/08/16/visio-map-of-the-world/ , has been one of my most popular, and a reader recently asked about changing the colour of countries by data not in my original worksheet, and another asked about adding labelled dots. Well, at first, I thought it would be quite simple to add more Data Graphics with the Color By Value that I already had, but then I realised that I needed to adjust some of the shapes that I had created from SVG in my previous article. The problem is that some of the country shapes which were converted from SVG have geometry at the top group level. 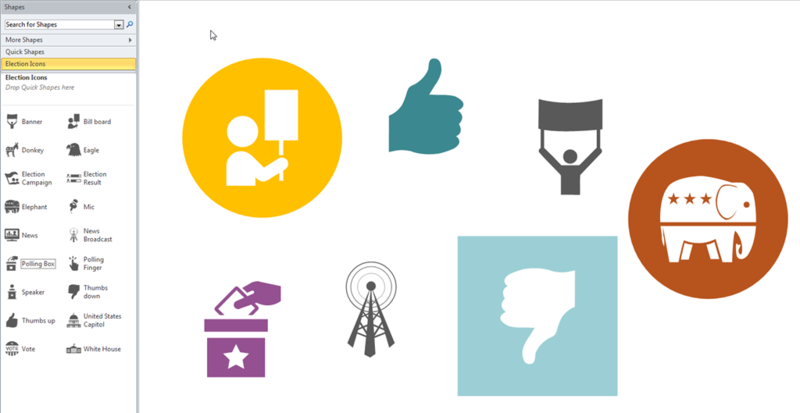 This means that any Data Graphic items, other than Color By Value, are actually sub-shapes of the group and will be hidden by the country shape itself. That is probably why the Data Graphics task, on the selected Afghanistan shape below, sent the AF label over to the right of it, whereas all the group shapes with all their geometry in sub-shapes, such as the AE (United Arab Emirates) shape, placed the label in its centre.